Would you rather read the nativity story or be a part of it? Using simple stage directions, easy-to-find props, and a script that's straight from the scriptures, this book helps you act out the familiar story of the first Christmas for your friends and family. Start a new tradition this season with a simple pageant you'll look forward to performing year after year. 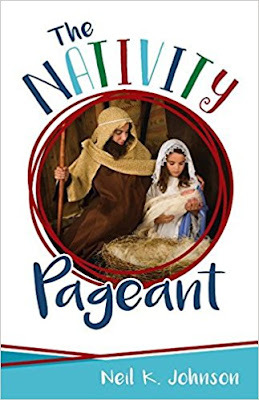 I love how simple yet thorough this slim 26-page booklet is for directing a Nativity pageant. It includes the cast, two narrators, stage direction, props, and optional songs. The cues for the actors include directions for movement and expression that will bring life and meaning to this powerful story, and are also easy enough for young children to follow. It's perfect for a family, church class, or Christmas party. We can't wait to use it this Christmas season with our daughters and their cousins!